From bumper-to-bumper, our BMW Repair specialists are the best in the business. The quality and care that BMWs are designed is the same standard we hold our BMW Service team to. Whether it's a major service interval or a check engine light, you can count on Minsky BMW & MINI Specialists for dealership quality and A+ customer service. 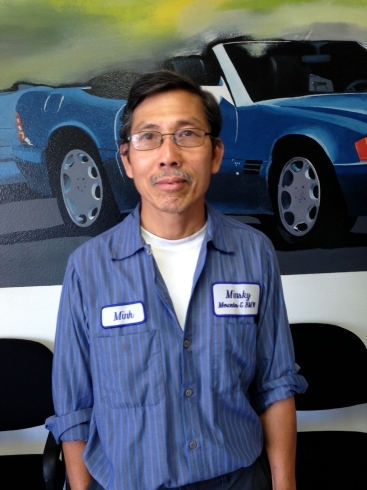 We pride ourselves on offering the residents in and around San Diego and Kearny Mesa the best in Mini Repair. The technicians at our auto repair shop are specially trained to perform the any mechanical repair, major or minor. Built as sport vehicles, it's important that you perform regular Mini service to keep it road ready. Brakes, engine lines, and transmission systems should all receive regular inspection for wear and tear. It makes a world of difference in the quality and efficiency of service when an auto repair professional understands your specific vehicle needs. Years of Auto Diagnostic Service experience allow us to make the right repair, the first time. "Excellent and hard working people"
"Excellent and timely service as always!" "The shop owner and people are honest and trustworthy, the.."
"You have worked on my X5 a few times and.."
"I am totally satisfied with the work performed and the business professionalism." "These guys are honest and thorough. I needed a twin.."
"I found the service to be very helpful and a.."